The M&A Advisor has named Eric Oxley as one of their 2016 "Emerging Leaders," which recognizes his significant level of success before the age of 40 as a legal advisor in the M&A industry in the United States. An independent panel of distinguished business leaders chose the winners from a pool of prominent nominees. Eric has closed over 50 deals, both domestically and internationally, worth an aggregate value in excess of $1 billion on behalf of clients such as McCarthy Capital Corporation, John Bean Technologies Corporation (NYSE: JBT), Dover Corporation (NYSE: DOV), ITOCHU Corporation, and Clearview Capital, LLC and many family-owned businesses. Eric's international experience includes working on deals in the United Kingdom, China, Brazil, Thailand, Germany, The Netherlands, Argentina and Canada. 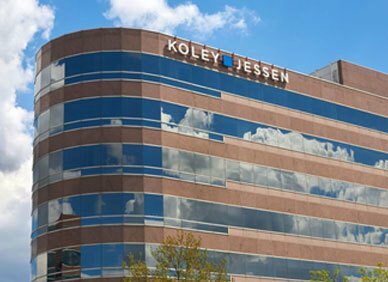 Eric has helped drive Koley Jessen's M&A practice far beyond the Firm's office in Omaha, Nebraska. He holds multiple leadership roles in the Firm and has helped build a robust middle-market practice that has international reach and is continuing to drive that growth. Eric is a Shareholder at Koley Jessen who counsels and advises companies, executives, business owners, as well as private equity groups and families, on the structure, preparations and closing of domestic and international M&A transactions.